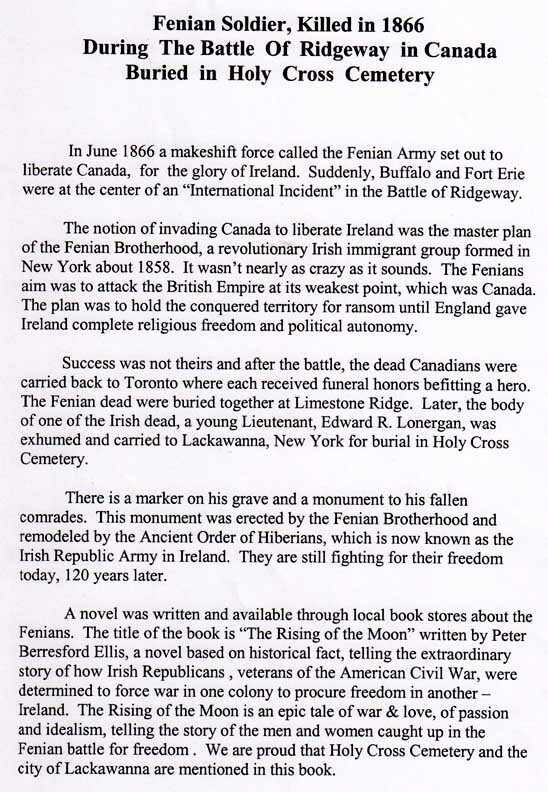 "One of the Fenian dead was a First Ward ship carpenter, Edward K. Lonergan. 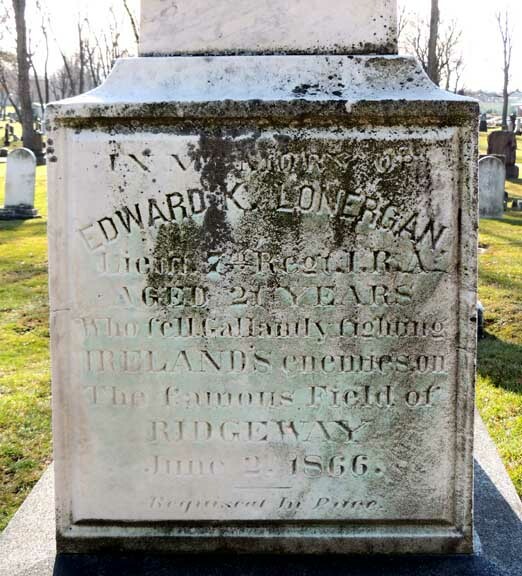 Lonergan, born on June 2nd 1845, was typical of the Buffalo Fenians in that he was a single laborer under the age of thirty. 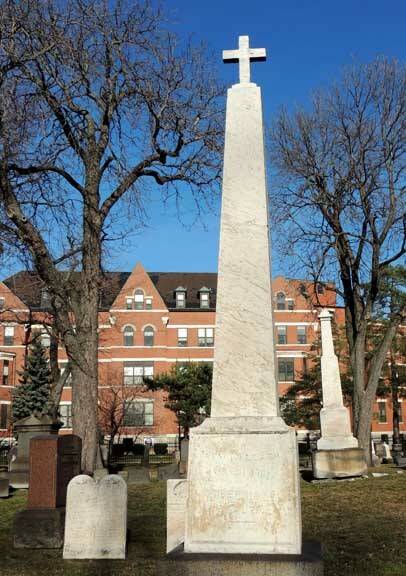 Not much is known about the personal life of Lonergan, but we know he worked as a carpenter at the Jones Ship Yard and lived at Ohio and Chicago Streets in the First Ward. 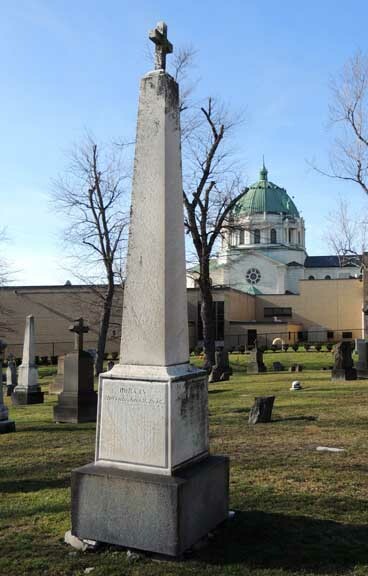 Lonergan’s sacrifice was not forgotten and the Fenian leadership erected a large monument for him in Holy Cross Cemetery in 1867. 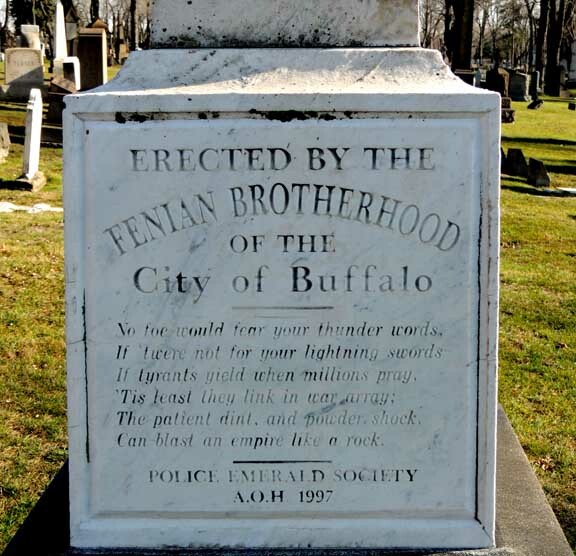 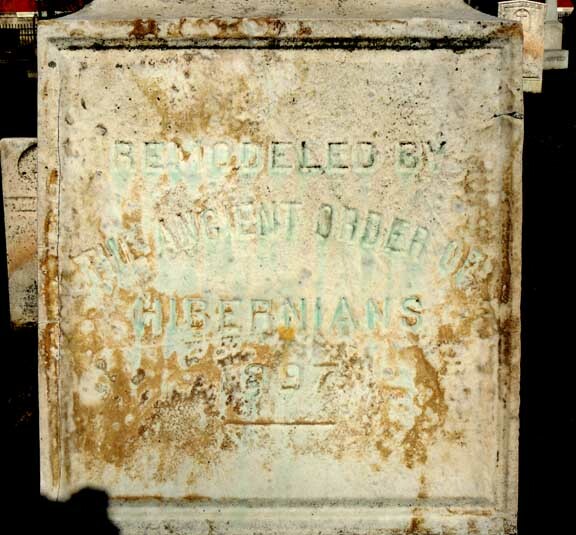 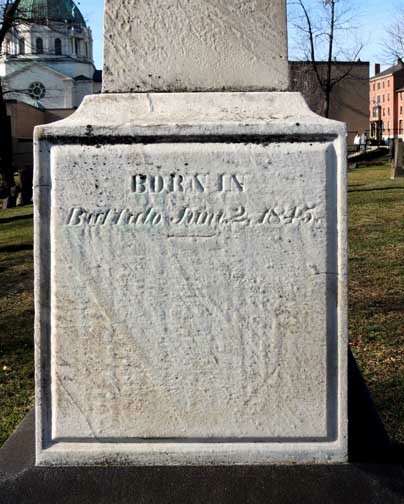 One hundred and thirty years later, in 1997, the Police Emerald Society and the Ancient Order of Hibernians refurbished his monument in Holy Cross Cemetery in Lackawanna, New York.